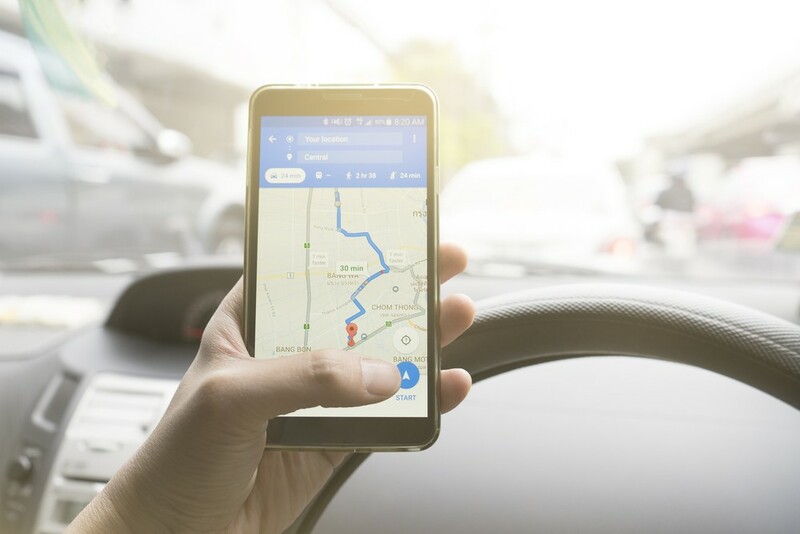 As reported by The Wall Street Journal, Google has begun offering Google Maps AR feature-equipped phones to a few dedicated users to test; instead of having to follow a list of directions or the orientation of your blue location dot on a map, this updated app will give you a live camera view of your surroundings with massive navigation arrows placed digitally on the street. Last spring at Google's I/O Developer Conference, the company unveiled an AR Google Maps feature in the works that would place arrows within the live-camera view of a user's smartphone; this would, in theory, eliminate the need to follow a map or even track your progress in the form of a little blue dot. As one of the very few users who's had the opportunity to test the feature out, The Wall Street Journal's David Pierce quite literally walked us through how it works. Pierce summarizes the feature as being able to "superimpose your navigation on top of a live view of the real world." You can either hold your phone up or tap a designated button to activate a camera which will start "scanning around...looking for familiar landmarks, signs, and more." Once it places you in its map, enormous arrows will pop up in your camera view as if they're right there in the street instructing you on which turns to take. To ensure that you're not a danger to yourself or anyone else, the app will prompt you to put your phone down when looking at it is not necessary; as Pierce says, "Just find your turn, put it down, and move on." The technology used to make this AR feature work is similar to that used in autonomous vehicles and in heads-up displays. Already, some concept windshields are being equipped with AR technology -- WayRay has something comparable in the works: last month at CES, the company had its holographic AR interface integrated into a concept model of Hyundai's Genesis G80 sedan that displayed navigation elements and POI icons "through the windshield in the context of the environment ahead." For now, the feature is still under development, and Pierce states that the feature isn't expected to reach the public "for a while."